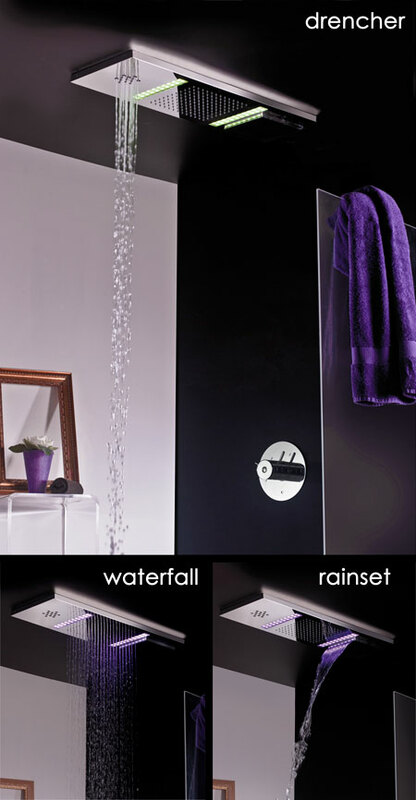 The Minage is a ceiling mounted shower head with 3 shower functions Rain / Shower/ Massage plus colour changing LED lights showing 7 different light colours. * Seven LED light colours. * Minimum water pressure 1 bar.